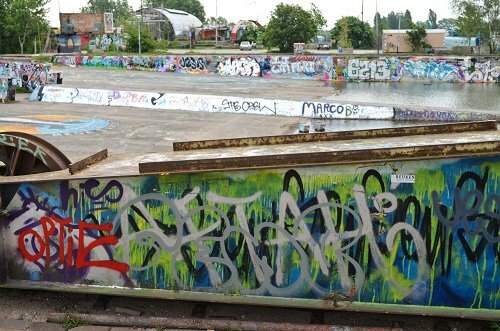 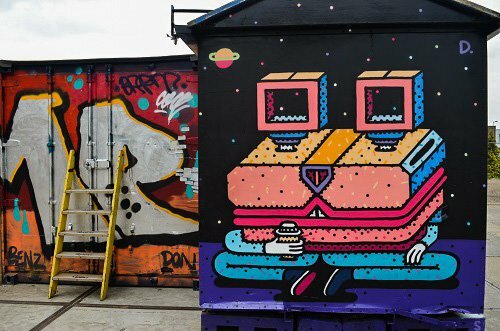 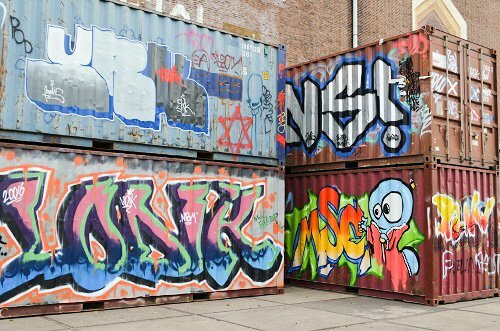 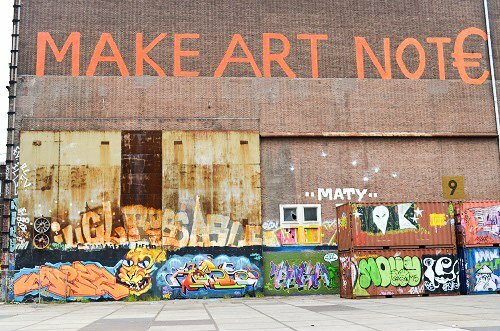 At the NDSM wharf, graffiti artists use shipping containers as their canvas. 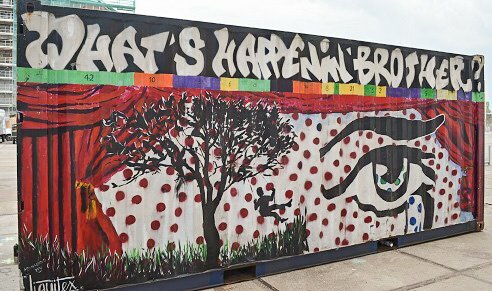 The wharf is not just a place for artists to leave their mark on the walls. 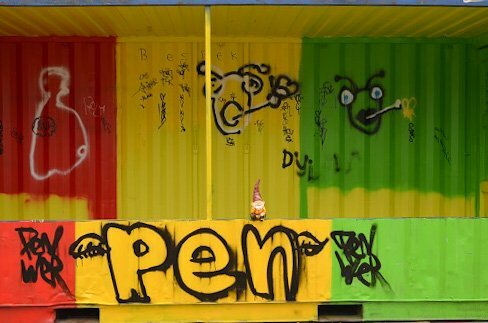 People actually live here, a most practical use of old shipping containers. 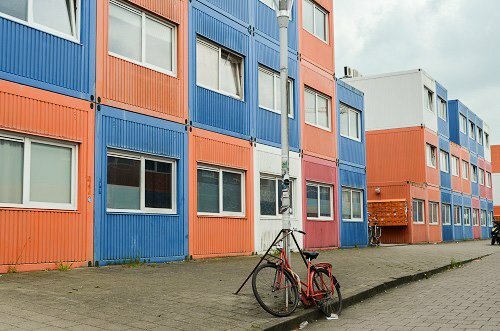 Community of shipping container apartments. 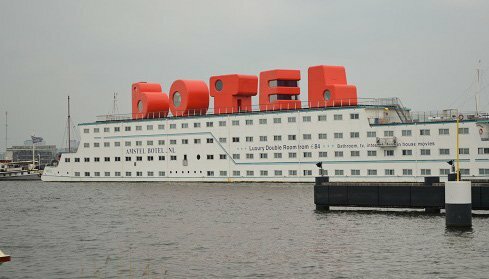 Of course, if you’re just swinging through, you can rent a room at one of the wharf’s hotels or one of the docked boat-els. 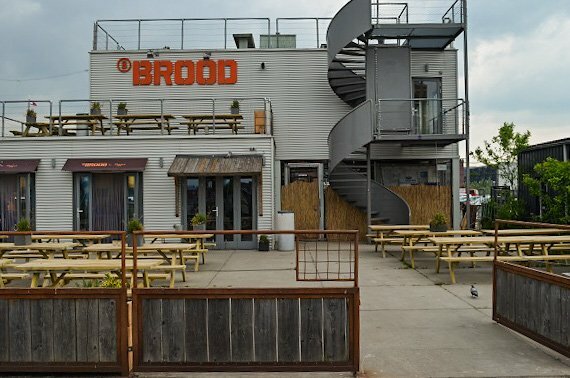 The restaurants also make creative use of the abandoned materials of the wharf. 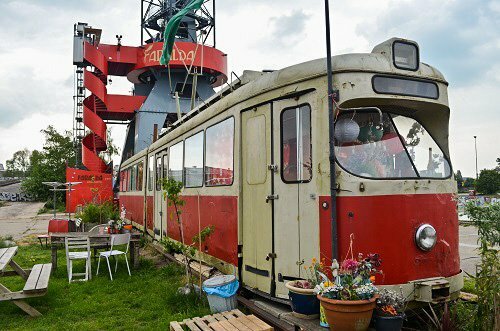 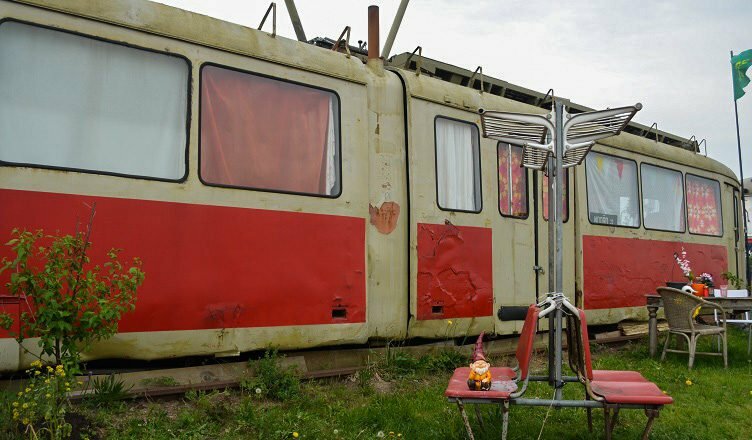 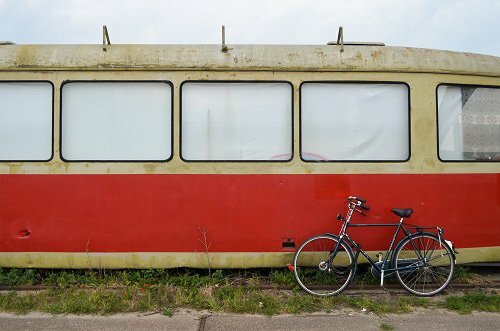 The wharf is also home to two abandoned train cars which have been decorated like trailer homes.